Displaying 13-15 of 15 results. 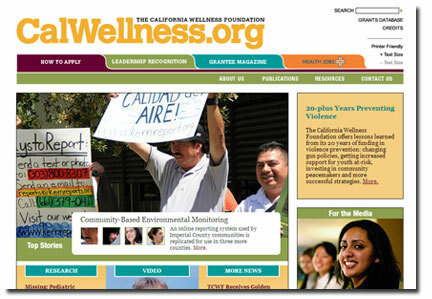 The IVAN team is proud to be highlighted on the homepage of theCalifornia Wellness Foundationwebsite. To the left is a screen shot of the homepage. We encourage our readers to visit the fantastic article from their featured news section. It was earlier this year that Comite Civico received a generous $300,000 grant to replicate the IVAN model in communities throughout California. IVAN is building new relationships and continuing to further it's mission of Evironmental Awareness and Reporting. Join us for our monthly Environmental Task Force meeting on Sept. 19th, 2013 at 3pm. IVAN is making headlines this month in a variety of ways. One of them being an article written by Ian James, and Environmental Reporter for the MyDesert.com website. Ian's writing on the subject matter was very clear and incorporated some great quotes from the IVAN team and partners. He also captured the overall structure and purpose of the work that is being done in the Imperial and Coachella Valley. Thank you for the support. “I think it really serves as a valuable model for other regions in California,” said Phoebe Seaton, an attorney with the organization California Rural Legal Assistance. She said crowdsourcing can be particularly useful in rural areas as a way of stimulating more reporting of local environmental problems and boosting communication between communities and government agencies.